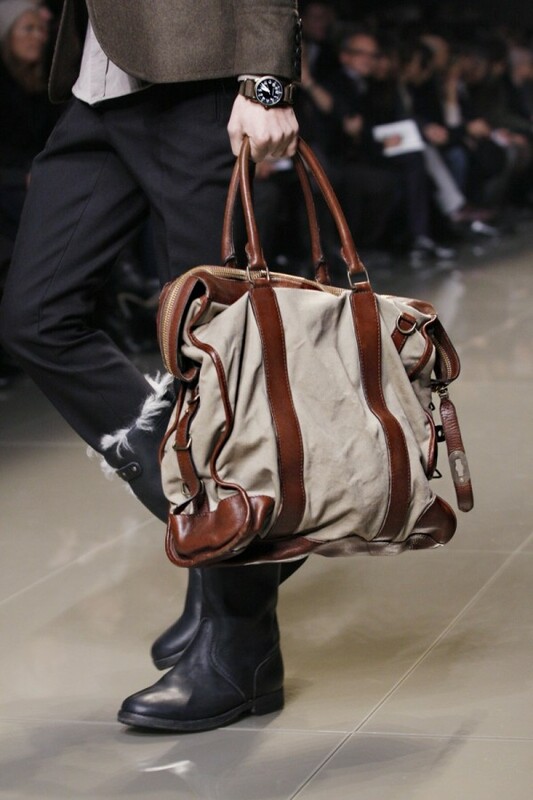 Burberry has added two new bags from the Burberry Fall Winter 2010 Men’s collection on its website. 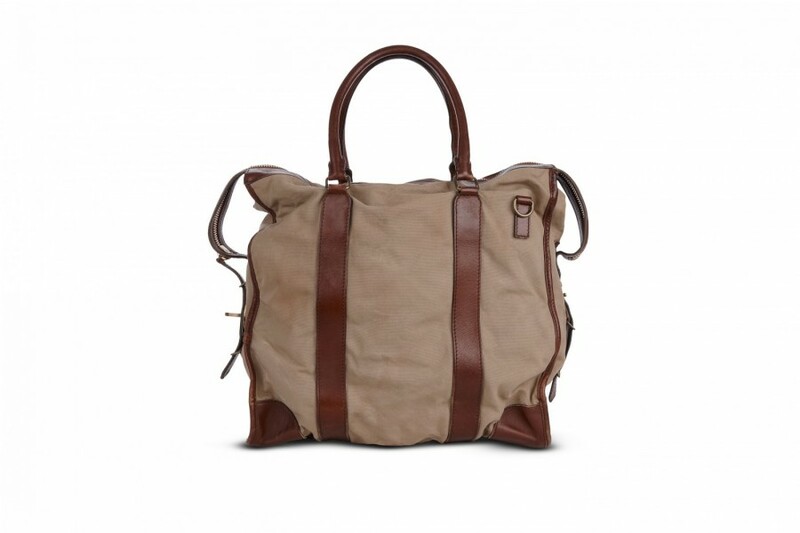 The stone washed canvas and leather detailed bags retail from $1395 to $1495 USD. Burberry revealed the Fall/Winter Men’s collection in Milan back in January 2010. 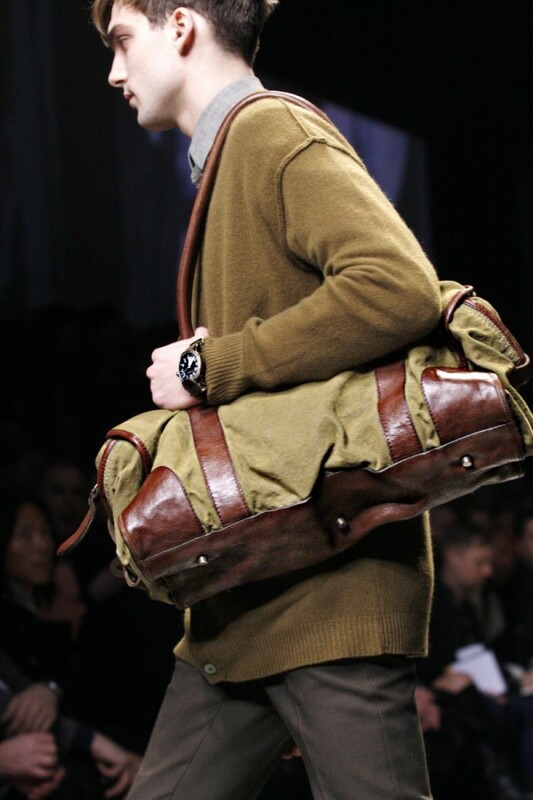 Both bags reference the military direction of the Fall Winter collection. 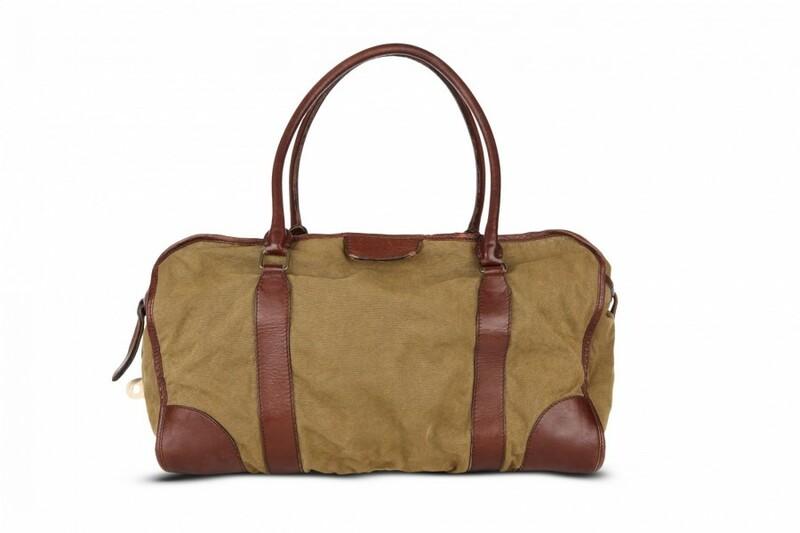 Both bags with washed calf leather and cotton canvas provide the owner with a solid statement piece for Fall/Winter 2010. Military inspired cotton canvas tote bag. Smooth leather trims and corners. Leather handles. Top zip closure.